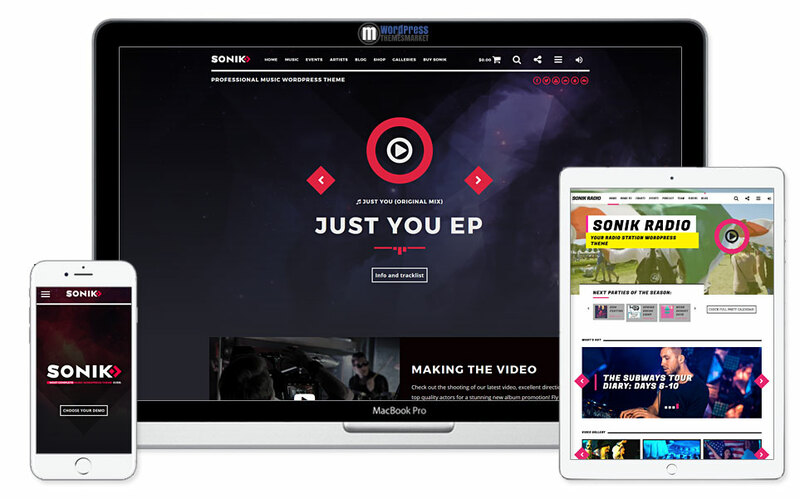 SONIK Responsive Music Wordpress Theme for Bands, Djs, Radio Stations, Singers, Clubs and Labels. SONIK is a fresh and modern, clean and minimal Responsive Music WordPress Theme that was developed especially for Singers Musicians Music bands, Rock bands, Djs, Producers, Music Labels, Digital labels, Radio Stations, Clubs, Music Magazines and more. 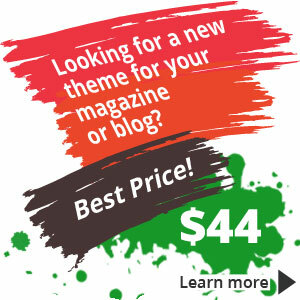 This theme is the most professional and flexible music WordPress theme for entertainment. You get 4 pre-built demo pages like Agency/Label, Rock Band, DJ Producer and Radio Station demo pages, 12+ post types each one with custom functions, WooCommerce compatibility, TOP 10 Charts feature, Events Map, Radio Schedule, 600+ google fonts and much much more. SONIK theme includes premium plugin Visual composer and its WPML ready.